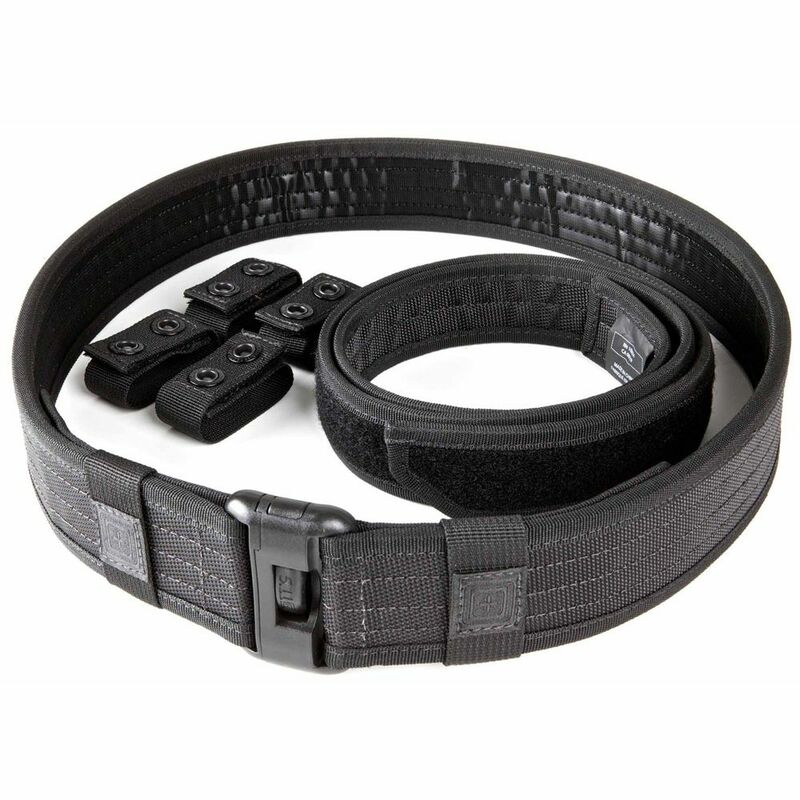 Engineered with feedback from officers in the field, the Sierra Bravo Duty law enforcement duty belt kit gives you the adaptability and customizability you need to create the perfect foundation for your duty wardrobe. Constructed from ultra-strong 1680D nylon fabric, Sierra Bravo police duty belts feature a waterproof treatment that protects against rain and moisture, ensuring all-weather reliability. Designed to fully support a broad range of loadouts, the Sierra Bravo integrates with MOLLE web gear and the 5.11 SlickStick System to give you unprecedented flexibility when choosing your accessories. The Sierra Bravo kit includes the main belt, the inner belt, and 4 individual keepers with dual-retention hook-and-loop/snap closure to keep your gear firmly and comfortably in place throughout your shift.